Most of us grow up thinking of firefighters as default heroes. It’s a service where people are expected to risk death under particularly horrifying circumstances. 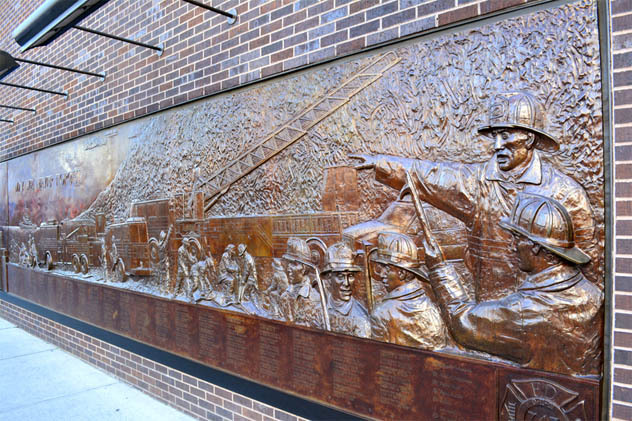 Every year in America, an average of 70 firefighters die in the line of duty. But their history is full of surprises. In the US, an estimated 100 firefighters per year are arrested for setting fires, and the evidence suggests that those firefighters are serial arsonists. One fire chief in Minnesota confessed to setting nine fires, but there were 39 suspicious ones in his area during a two-year period and zero after he was arrested. Fire chief John Orr killed four people doing this and caused millions of dollars worth of damage. It’s believed that John Orr started more than 2,000 fires, most of which he personally investigated afterward. This is actually way down from what it used to be as recently as the 1990s. In South Carolina, 33 volunteer firefighters were arrested for arson in 1993, and it was up to 47 in 1994. When the state refused to let in firefighters with criminal records, it knocked the rate down about 90 percent. Apparently, it’s rare for perpetrators to do this out of a psychological disorder. More likely, they do it because they only get paid when they fight a fire or because they’re bored with living in rural America where fires don’t happen often. Similar to the American folklore related to Casey Jones, the advent of steam engines in the early 19th century threatened the use of volunteer firefighters by making the larger crews needed to pull wagons and man pumps obsolete. Since early volunteer firefighters were often literal gangsters, they physically attacked steam engines in the streets of major cities like New York and St. Louis. Additionally, automatic fire alarms lessened the need for lookouts and more fresh crews, which raised the ire of firefighters as well. They started doing fire alarm pranks to convince cities not to adopt the new technologies. 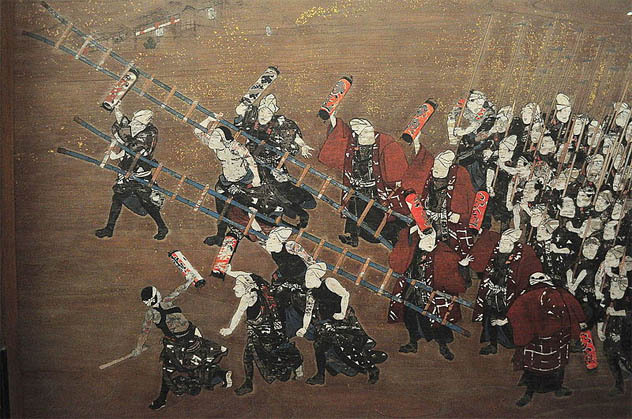 During the Edo period (1603–1867) Japanese firefighters had an unusual technique for fighting fires. They brought water pumps and hoses to conflagrations, but they didn’t aim anything at the fire. Instead, they wet themselves down to become less flammable. Their outfits could weigh as much as 34 kilograms (75 lb) when they did this. 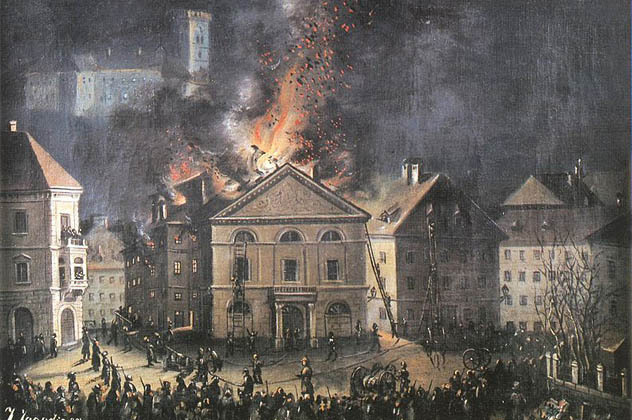 Then, they ran over with hooks on poles and tried to pull the buildings down to smother the fire, believing that preventing the spread of a fire was more reasonable than saving a house. That might not sound extremely effective, but the evidence indicates that it worked. 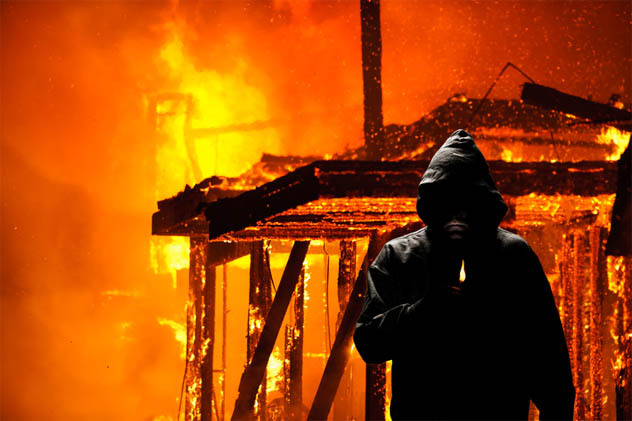 Of all the fires that happened in Japan for centuries, only 5 percent of the recorded ones resulted in deaths. Even when groups of city blocks housing thousands of people burned down (as happened in Kanda in 1880 and 1881), there were no reported deaths. The first recorded woman to serve in an official capacity as a rank-and-file firefighter was Molly Williams in New York City, who joined in 1815. She was one of the first black people to be an official firefighter in America as well, but that brought very unfortunate baggage with it. She was a slave who also worked as the team’s cook. 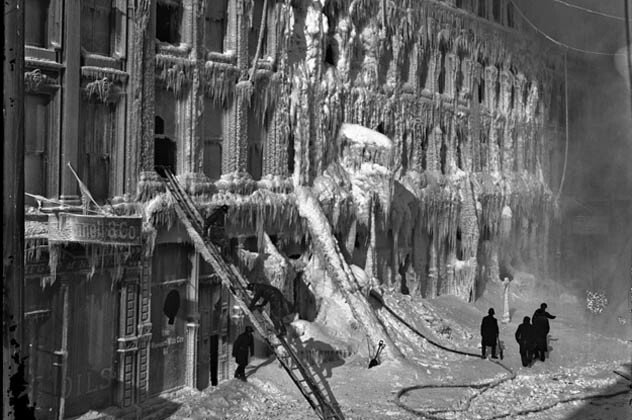 In 1818, New York City was hit by an influenza epidemic and a blizzard which reportedly took out just about every male member of the NYFD. So for a period, Williams practically was the fire department, hauling the fire pump to emergencies. 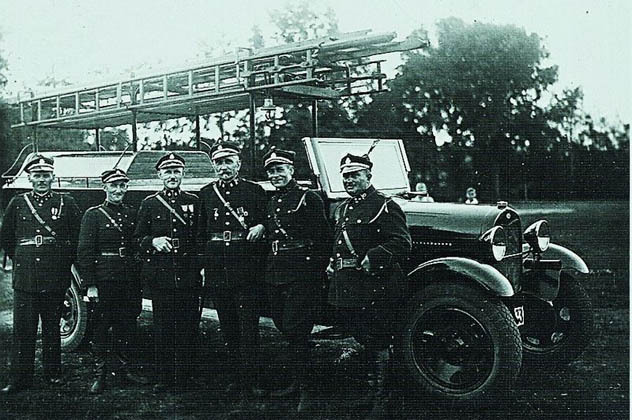 As admirable a profession as firefighting is, for a long period in Eastern European history, some communities were at best suspicious of firefighters, even violently hostile toward them. The reason was utterly contemptible: In the late 19th century, firefighting was one of the few professions in Russia, Ukraine, and Poland that allowed Jews to enlist. Eastern Europe is notorious for its anti-Semitism. Even after World War II, there were incidents like the 1946 Kielce Pogrom in Poland, where as many as 40 Jews were murdered. It was such a hostile situation that in communities such as Kobryn, Belarus, riots broke out over a farming tax to fund the fire department after some of the firefighters were heard speaking Yiddish. Both fighting forest fires and skydiving are generally considered extremely dangerous, so imagine a profession that combines some of the worst elements of both. Smoke jumping began in 1939 in the Pacific Northwest region of North America because it allowed for faster, more cost-effective deployment of personnel and resources. The program also quickly became an organization known for putting conscientious objectors to work during World War II. Not that it was a well-compensated position. At $5 a month, they were paid about one-tenth of what a private in the regular armed forces made. There wasn’t much respect to be had in it, either. The conscientious objectors were all laid off after the war because it was assumed that everyone else would resent their presence if they stayed on. Today, there are about 270 full-time smoke jumpers who are active between June and October, and the danger has hardly lessened since the 1940s. Volunteer firefighters are hardly unprecedented, particularly in areas where the government can’t afford that service. But Chile’s approach to their firefighters (known locally as bomberos) takes this much further than most other countries would consider. Although the associated office workers and drivers are financially compensated, all of Chile’s 40,000 firefighters who directly fight fires are volunteers who pay monthly fees to serve as bomberos. And it’s been that way since the mid-19th century. That’s taking the notion of it being a privilege to serve unusually far. In 2014, there was pressure to change this after a fire disaster in Valparaiso left 15 dead, destroyed 3,000 homes, and left the nation wondering if they needed reforms. As of 2016, the country still uses volunteers. 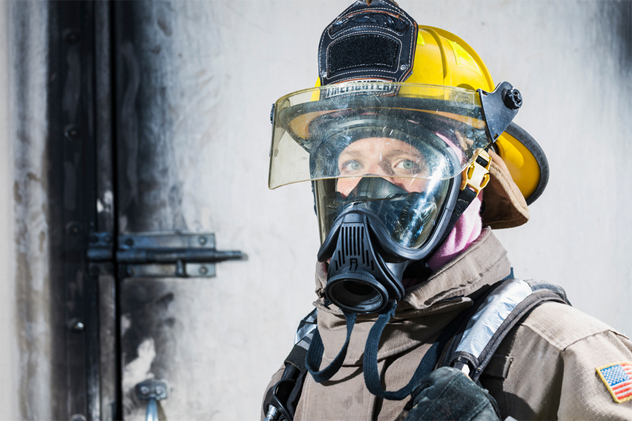 Despite official female firefighters coming into US firefighting organizations much earlier than the armed forces or police departments, US fire departments have extreme problems with gender discrimination. In 1995, a study of female firefighters found that 70 percent had been experiencing ongoing sexual harassment, and 26 percent of those who had gone through proper channels to report the abuse had experienced further abuse as a result. Michelle Maliniak of Tucson, Arizona, reported that she experienced harassment for 21 years. In 2015, the court awarded Maliniak $35,000 in a sexual harassment lawsuit and another $200,000 for her legal fees. If that sounds extremely costly for the city, especially for a service which is so starved for cash that they have to rely on volunteer labor, compare it with how fellow female firefighter Lori Franchina was given $800,000 for her years of harassment. In the spring and summer of 2016, Canada’s Alberta province was struck with a forest fire the size of Delaware. Naturally, they had to fly in aid from other countries, the most publicized group being the 301 firefighters flown in from South Africa. They drew that extra attention because they did a dance when they arrived at Edmonton Airport and the above video of the dance went viral. However, despite Canada’s agreement to pay each of them $170 Canadian per day, it was later revealed that they were only paid C$15 a day, which naturally struck a sour note before they were sent home because heavy rains ended the emergency. Since 2010, comedian Jon Stewart has been on a crusade to pressure the US government to do something for the heroes of the most notorious event of the 21st century so far. Under the Zadroga Act, first responders to the September 11, 2001, attacks on the World Trade Center were supposed to receive medical coverage for life. Nevertheless, in 2015, government officials debated stopping this coverage after the initial funding ran out. With Stewart’s campaigning and other media outlets finally reporting the problem, the US Congress voted to extend the Zadroga 9/11 Health and Compensation Act to give coverage to 9/11 first responders for their Ground Zero-related health issues for the next 75 years. President Obama signed it into law in December 2015. Adam and Dustin Koski are the authors of the exciting and hilarious fantasy novel Forust: A Tale of Magic Gone Wrong.